On Tuesday – 19th February 2019 – South Africa’s National Assembly passed the long-anticipated Carbon Tax Bill. This, in accordance with South Africa’s commitment under the Paris Agreement to reduce greenhouse gas emissions by 42% by 2025. The first phase of South Africa’s Carbon Tax will come into effect on 01 June 2019 and will run until 31 December 2022, after which time it will come under review. The tax follows the polluter pays principle where companies which exceed the stipulated threshold for certain activities will be penalised R120 per tonne of carbon dioxide (CO2). Although, allowance thresholds have been incorporated which pit the tax at R48 per tonne of CO2 at the most, and R6 at the least. These allowance thresholds will be reviewed at the end of the first phase (2022). During the 2019 Budget Speech on 20 February 2019 – it was announced that Carbon Tax will also be added to the fuel levy at 9c per litre on petrol, and 10c on diesel coming into effect on 05 June 2019. This will likely have a direct and an indirect effect on most companies and will need to be incorporated into annual internal budgets. 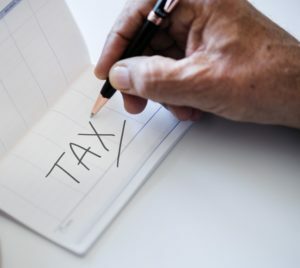 SARS is set to release draft rules for the tax in March 2019, and it is likely the updated Bill will be published around the same time. Final carbon offsets, trade exposure, carbon budgets and benchmarking regulations related to the tax will also be published in due course.